Larry Hagman, well known for his portrayal of J. R. Ewing on “Dallas” and Captain (later Major) Anthony Nelson on I Dream Of Jeannie, has died. He was 81 years old. Larry Hagman was no newbie to the Hollywood scene. His mother was Mary Martin, who played Peter Pan and Maria von Trapp (The Sound of Music) on Broadway. Hagman appeared as supporting character on several shows starting in 1957 (The Defenders and The Rogue). His first lead role, as Major Anthony Nelson on I Dream Of Jeannie, is what put Hagman on the road to fame. I Dream Of Jeannie is the story of a young single astronaut in the Air Force who, after a mission, lands on a beach and finds a bottle. When he rubs the bottle, a beautiful genie, named Jeannie (Barbara Eden), appears. The show is full of the funny antics of Hagman’s character trying to explain Jeannie’s sudden appearance to Dr. Alfred E. Bellows (Hayden Rorke). I Dream Of Jannie ran from 1965 to 1970. After the series ended, Hagman went on to appear on other shows as supporting characters. In 1980 Hagman landed the role of J.R. Ewing on Knots Landing. Knots Landing was centered around four couples living in a newly developed neighborhood. J.R. Ewing’s conniving, scheming character became popular on the Knots Landing’s, and became the central character in the spin off, Dallas. The original Dallas ran from 1978 to 1991. Dallas focused on the troubled Ewing clan and their oil and cattle ranching empire. It seems that dysfunctional families are not a new subject for television. Warner Bros. Television, who owns the original series rights, decided to continue a more modern version of Dallas for it’s sister network TNT. The new version was launched earlier this year. 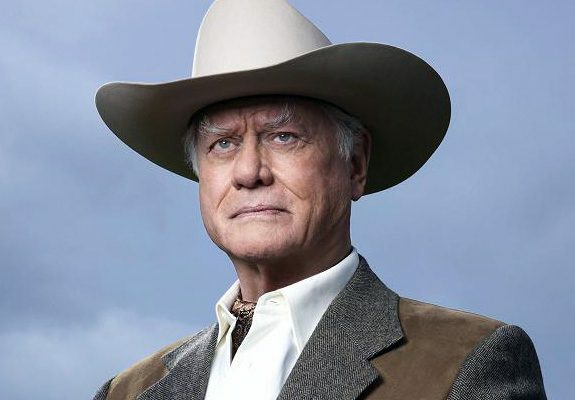 The Huffington Post says that although TNT was caught off guard by Hagman’s death, the network is working to rewrite the second season’s plot. Season 2 is set to premiere on January 28th, 2013. Dallas season 1 is available on iTunes and Amazon Instant Video. Was J.R. Ewing your favorite character on the show? How do you think TNT will write in J.R.’s death? Leave your comments below.